The 11,000 acre Ganaraska Forest is one of the largest blocks of forested land in southern Ontario. Today the forest is a living example of how the principles of integrated resource management can be used to balance many different uses of forested lands on a sustainable and ecologically sound basis. The forest is home to the Ganaraska Forest Outdoor Education Centre, a weekend canteen, and public washroom and shower facilities. The area provides abundant recreational opportunities and is managed for a sustainable yield of wood products. Day passes or annual permits are required to use the forest. Office hours are 8:30 am - 4:00 pm weekdays and the Gatehouse is open for sales on weekends from 9:00 am - 4:00 pm. FOREST MANAGEMENT - Be Cautious. Be Safe. Keep an eye out for signs alerting you to harvest operations in the forest. The harvests are selection thinnings and are designed to minimize impact on recreational activities and trails. All thinnings are carried out using Sustainable Forestry and Good Forest Management practices to improve the health and resilience of the stand. Please remember to exercise caution in these areas throughout the harvest season and to generally avoid trail use in active cut blocks. If you have walked the trails of the Ganaraska Forest, you have probably noticed the many stands of Pine plantations, with some that are marked with orange paint. These Pine plantations, which cover over 5,000 acres of the 11,000 acre Ganaraska Forest, are being managed to allow them to become a healthier and more diverse forest. In the early 20th century, Ganaraska Forest lands were almost entirely covered by barren, rapidly-eroding blowsands, the result of early, destructive farming practices. The Red Pine in particular could survive in such harsh conditions, stabilizing the blowing sands, and growing into healthy forests to manage for timber production. The trees also provide source water protection for the Ganaraska Watershed. Over time, the conifers have grown and have enriched the soil; and now, the selective thinning process will allow other species to regenerate to create a more diverse and resilient forest for the future. The Ganaraska Region Conservation Authority (GRCA) is managing these forests on top of the Oak Ridges Moraine to maintain their health and productivity, fulfilling its mandate of “Clean Water, Healthy Land for Healthy Communities”. A small portion of the conifer overstorey will be removed every 10-20 years. These thinnings gradually allow more light into the understorey of the stand and encourage more shade-loving species to establish, survive, and thrive. Good forest management will ensure that the Ganaraska Forest can continually provide sustainable, renewable, locally-sourced wood – the lumber for your house, the paper in your favourite book, and the utility poles that bring us electricity and phone service - just to mention a few . While efforts are made to conduct harvesting operations in ways that reduce impacts on recreational forest uses and on the environment, visitors to the Ganaraska Forest should be aware that logging activity takes place annually from mid-summer through the winter months. To learn more about how and why the GRCA is sustainably managing the forest for your continued benefit and enjoyment, please contact us. We’re happy to discuss the history and the future management of southern Ontario’s largest, contiguous forest. Cross-Country Ski Trail Conditions - February 26, 2019: Ganaraska staff have been clearing trails of fallen debris from the wind storm. Cross-country ski trails are open, and will be cleared and packed by the end of the day but not groomed or track-set. A friendly reminder that motorized use, with the exception of snowmobiling, is closed in the forest until May 1 2019. Ganaraska Forest memberships and day passes are no longer available for purchase from Ganaraska Leathercraft. 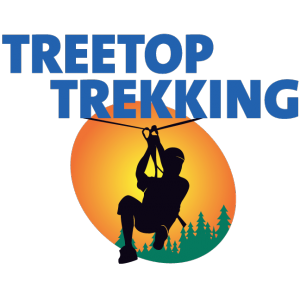 Treetop Trekking Ganaraska An aerial park in the central forest, is now closed for the season. It is scheduled to reopen in April 2019. For more information, call 905-797-2000. Special rates for school groups participating in Ganaraska Forest Centre Outdoor Education programs!